In an interview with the composer and singer Ramy Gamal, he announced an ongoing new movie preparation with director Saeed Al Marouk, also talked about his first music album that is scheduled for release early 2010. Ramy Gamal talked about his upcoming album, which he finished recording all its songs, cooperating with lyricists Amir Te3eema, Bahaa El-Din Mohammad, Mohammad Atef, Arrangers Nader Hamdy, Ahmed Ibrahim and Tooma. Also collaborating with composers Tamer Ali and Mohamed Yehia. 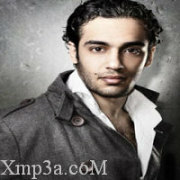 About his most recent work as a composer, he has 3 songs in Mohamed Fouad's new album and 7 songs in Mohamed Nour s album. Regarding working with Amr Diab, he said: There was no luck, but I am optimistic about it clarifying that he had two working sessions wit him but nothing was completed until finished, saying that he would be honoured to work with him in the future. He then talked about the artist Amr Mostafa, and said: Amr Mostafa throughout the past 10 years, from the song (Khalik Fakerny) till (Ahla Haga Fiki) is the No. 1 composer, and all his melodies have been hits,either with famous singers or rising ones, his success is undeniable. When asked about the most difficult melody that he composed, he said: I made the first part of a song in the Hamaki s new album named (Lazem Awsallo) and did not finish it until a month later, but we're both happy about for its new and different style. He expressed his dissatisfaction with his single cooperation with Tamer Hosny through the song (Dayeb) featured in (Arrab Kaman) saying: The song tempo (speed) was far lower and I feel very dissatisfied with the song shape. In case we cooperate again in the future, I will make sure to do what I see is right. When it came to talk about movies, Ramy Gamal said that a friend told him the director Saeed Al Marouk insists on giving him a part in his movie, and Ramy approved it.